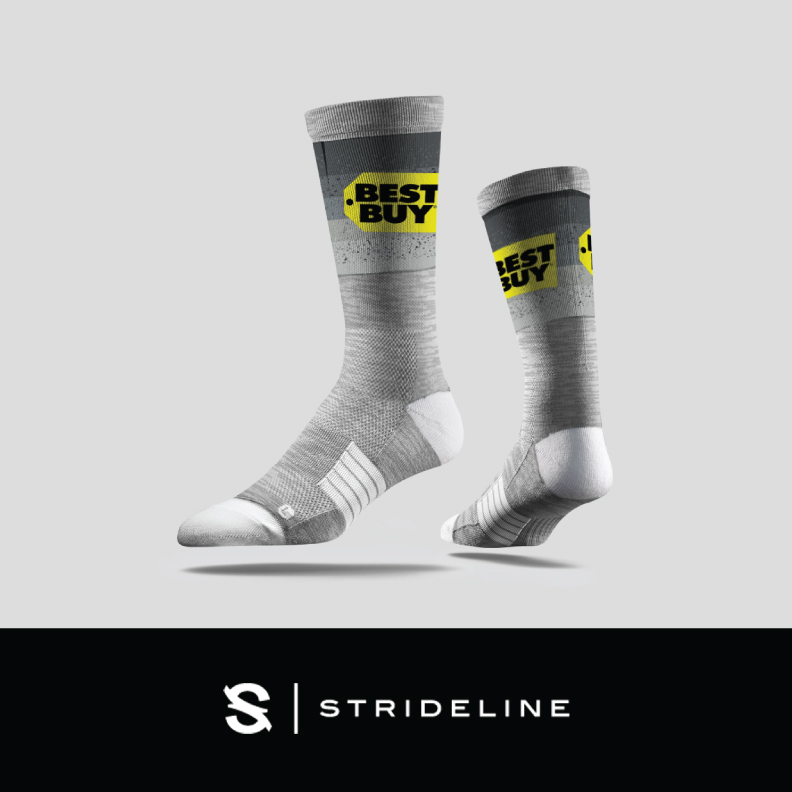 The Classic sock has no Strideline branding and is the perfect promotional item - made with logo clarity in mind. With many length options these are great for everyday use. Each sock starts as a pre-knit base with a 3.5 inch x 4.5 inch design space - this is a fully customizable window where we can dial in logos, trademarks, and even PMS color match to meet all of your specifications. Standard packaging is a single poly bag. Special packaging available upon request.